The French filmmaker Jacques Demy was a contemporary of the Nouvelle Vague directors of the late ‘fifties and early ‘sixties, but whereas they made black-and-white films that expressed the existential pointlessness of life – like Godard’s amoral Breathless and Resnais’ baffling Last Year in Marienbad – Demy is famous for a colourful love story, The Umbrellas of Cherbourg (1964). 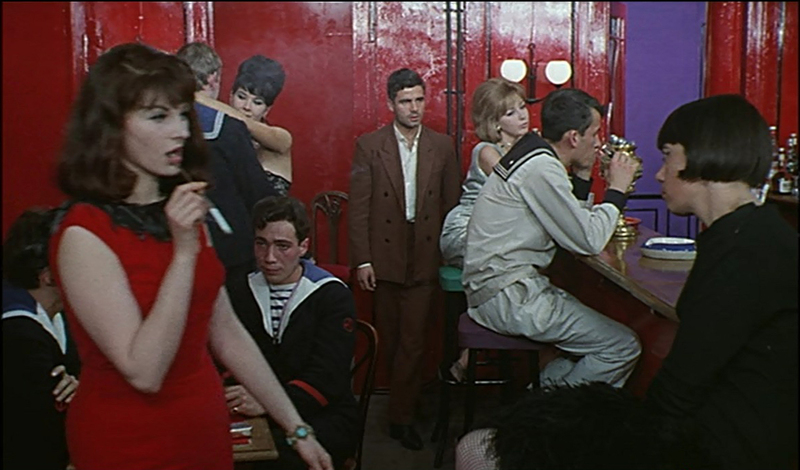 Demy cast the 21-year-old Catherine Deneuve in her first star role, a love-struck teenager, Geneviève Emery, and Nino Castelnuevo as Guy, her boyfriend, a handsome car mechanic. Anne Vernon is Geneviève’s widowed mother, the owner of a pretty but unsuccessful umbrella shop, and Marc Michel is a sophisticated businessman, Mr Cassard. Mrs Emery tells Geneviève that she is too young to marry Guy and that he could not support her anyway. Guy receives his call-up papers and is posted to Algeria. Geneviève thinks she cannot bear his absence, and reveals to her mother that she is pregnant. Mr Cassard asks Mrs Emery for Geneviève’s hand, and tells the girl politely, not even yet on tu-toi terms with her, that he will bring up her baby as his own. Geneviève succumbs, marries him and leaves Cherbourg. 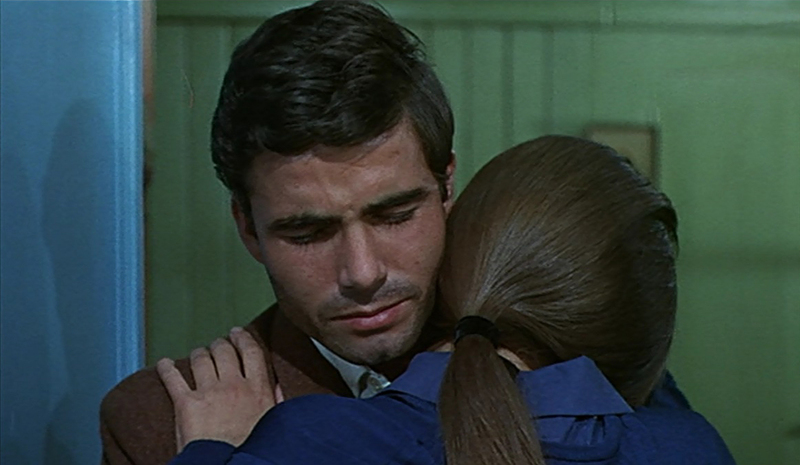 Guy returns from the Algerian war and, discovering that he has been abandoned, sinks into depression. He inherits money, pulls himself together, buys his own garage, and marries Madeleine (Ellen Farner) who has been in love with him from the start. On a winter’s day a smart car pulls up at the garage. It is Geneviève in a big fur coat with their little daughter. They say hello. “Do you want to see her?” asks Geneviève. “No,” says Guy. They part. Fin. The most notable thing about the film is that the dialogue is not spoken but sung in its entirety, taking in classical, jazz and recitative styles in a score by Michel Legrand. The singers’ voices are dubbed and so the real voices of the actors are never heard. 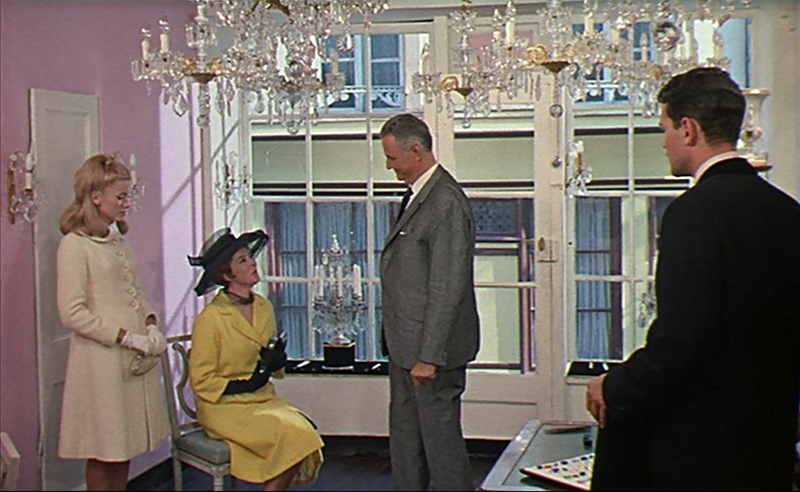 The film is also notable for its colouration: saturated hues, pastel tones and dazzling colour contrasts. Sound and vision make it more than a musical, not quite an opera, something unique in cinema. 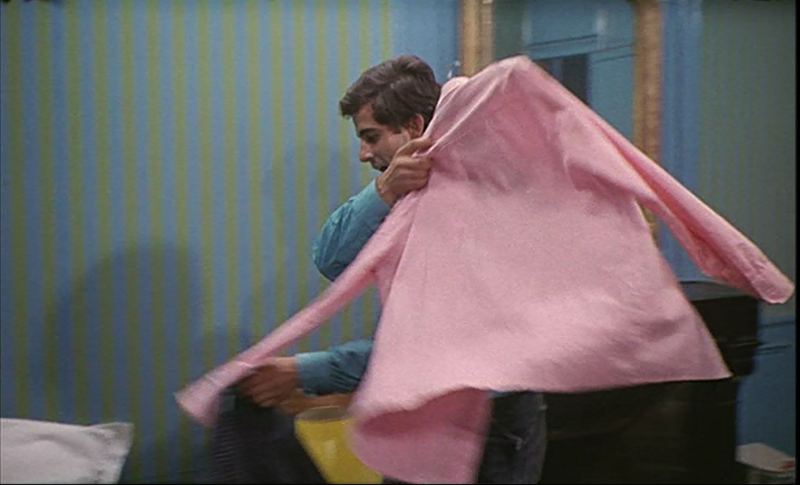 The Umbrellas of Cherbourg was successful and it has always been popular. It grossed $7.6 million, won the Palme d’Or at Cannes and was nominated for five Academy awards. It is admired by gay men in France for its colour, music, its tale of forbidden love and the sailors who seem to be in every outdoor scene. It has been so appropriated to gay culture that now entire books are devoted to the queer sub-text of Demy’s films. It is, of course, delightfully escapist, but it is more than just a fairy tale or a lollipop. After all, it has a downbeat ending set in a petrol station. Not only has Guy’s elderly aunt died but so has Geneviève’s unaccountably young mother. Guy and Geneviève have each settled for a love of sorts, but they don’t go off into the sunset, they go off into winter snow. Get your hankies ready, here are the last five minutes of the film. 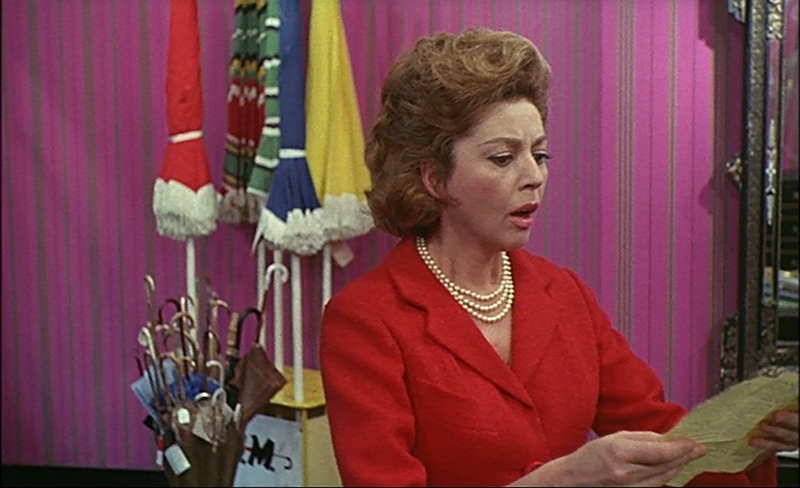 The costumes for The Umbrellas of Cherbourg by Jaqueline Moreau are utterly chic. Bernard Evein, a fellow student of Demy’s from art school, was the set designer who repainted Cherbourg and chose violently patterned wallpapers for the interiors. They use colour to great decorative effect and also for dramatic meaning. In some shots there is intense colour saturation, in others a contrast between Geneviève’s girlish pastel clothes and her mother’s strong colours. 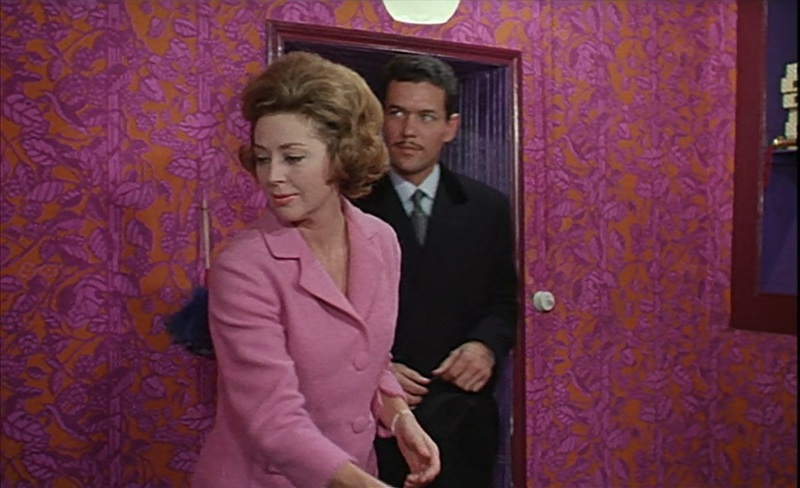 In several there are striking clashes between the colour of clothes and the walls behind them, the clothes usually plain, the wallpapers in in big, bold patterns. In yet others the absence of colour is significant. Here are ten stills illustrating Demy’s wonderful colouration. 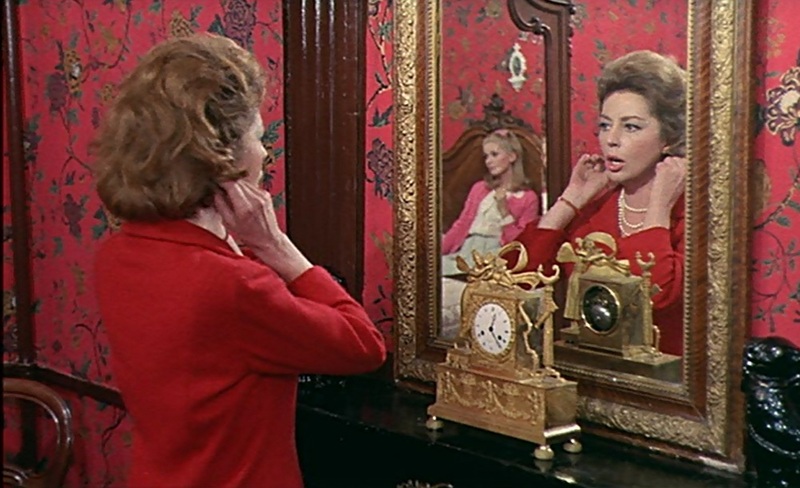 The colours of Mrs Emery’s costume and lipstick are echoed in the wallpaper. The reliable Mr Cassard dresses in black and grey. Hats and gloves are de rigeur for a visit to the jeweller. The colours here are pink, yellow, white, blue, grey and black. 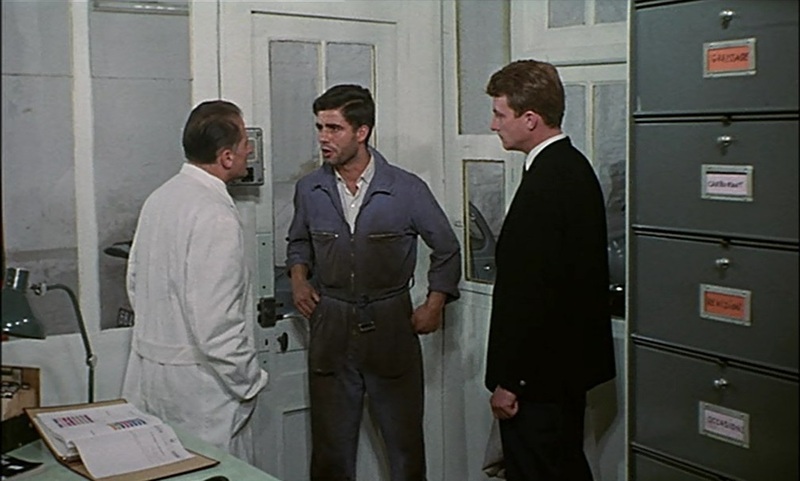 Guy (centre) in Mr Aubin’s garage. At work there is no colour at all. his wallpaper, but his pink going-out shirt clashes with it. her shop is a very different environment from Guy’s colourless workplace. The umbrellas are of every hue, but the only customer whom we ever see in the shop just wants a black one. 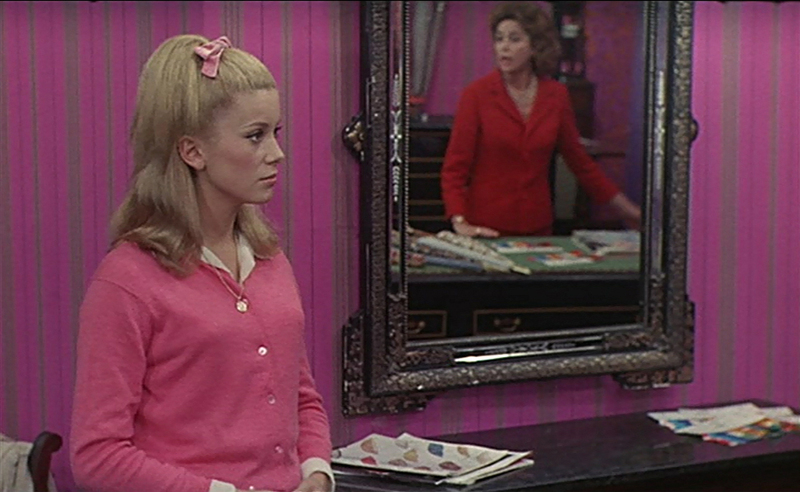 16-year-old Geneviève in girlish pink, her mother in mature red. begins to blend into the wallpaper. the walls and the girl coloured an obvious red. Madeleine in a blue blouse and cardigan against subdued blue and green. A new start. Guy has bought the garage and proposes to Madeleine. He has on his pink shirt, Madeleine is in a bright orange dress (complementary in colour to her blue blouse) against a bright orange wall. It is the first time we have seen this colour.